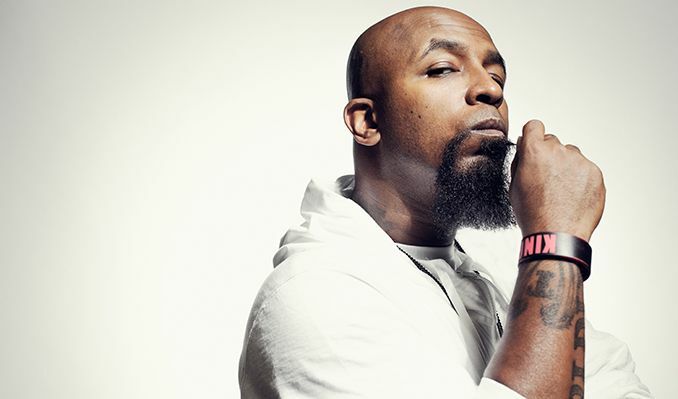 Tech N9ne announces his “IT GOES UP TOUR 2019.” In addition to Tech N9ne (along with Krizz Kaliko), the tour will feature DAX, ¡Mayday!, and UBI of Ces Cru. The tour will kick off April 11, 2019 in Omaha, NE, and is currently scheduled through the middle of June, with more dates to be added soon to total 55 shows. Tech N9ne is known as the hardest touring act in hip-hop, and this tour will do nothing but cement that reputation. Averaging nearly 200 shows per year, Tech N9ne set a hip-hop world record when he performed 90 shows in 99 days. His ambitious touring has earned him coverage from the Wall Street Journal and landed him the #1 spot on NME’s list of the hardest touring hip-hop acts. Anticipation for Tech N9ne's forthcoming album, N9NA, is steadily building as the singles garner more and more attention from critics and fans alike. N9NA is set to drop on April 19, 2019, just as the tour begins. Bou Lou, a craft beer created in partnership with Boulevard Brewing Co. and inspired by Tech’s platinum single, “Caribou Lou," is set to be released on a national scale and will be available at most venues. The “It Goes Up Tour 2019” promises to bring highly sought-after Bou Lou to a wider audience than ever before.